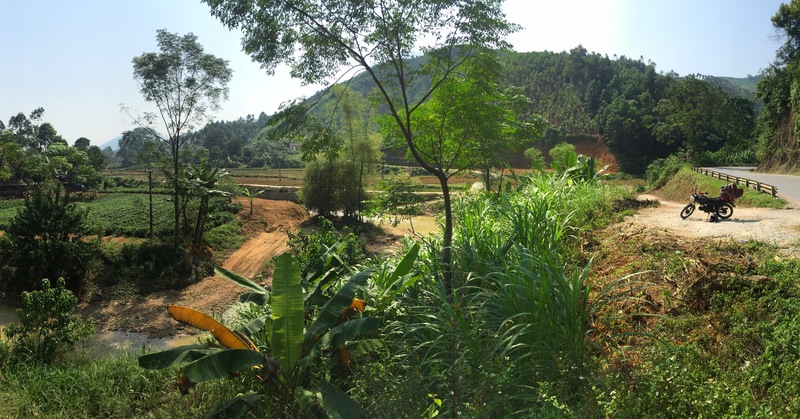 Recently, Chase and I spent two weeks in the small town of Yanque for a workaway program. For those of you who aren’t familiar with the workaway program, it is set up for travelers to work 20 hours a week volunteering in exchange for free stay and three meals a day. This first one that we signed up for was to work for an observatory and hotel, assisting with guests and leading hikes around the valley. Naturally, I was SUPER excited for this opportunity to learn more about the stars, hike the entire canyon, and maybe get a little time on the horses. Well, just to be clear, I am including all of the awesome, funny memories of our time on the trip and leaving out most of the unpleasant parts. My overall opinion of the workaway at this location is extremely disappointing, but that’s only in a few ways and for later on. 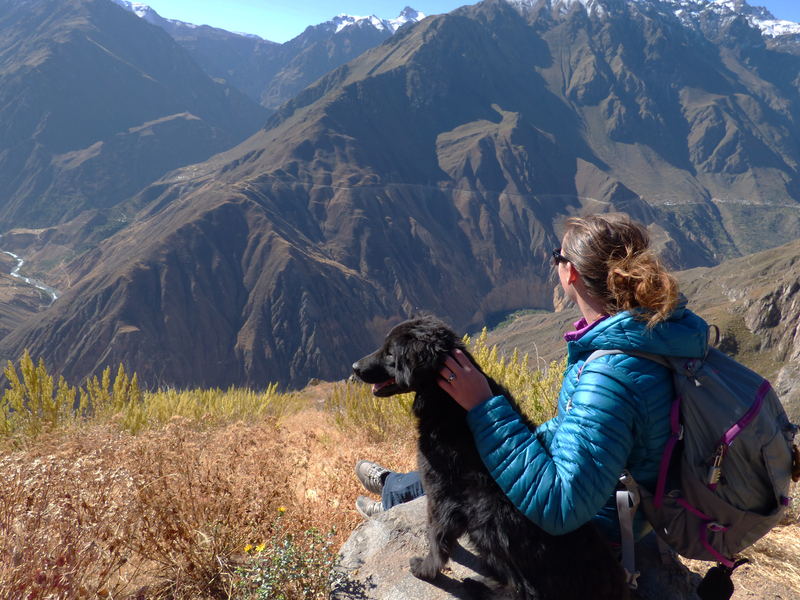 For now, let’s take a look at Yanque… Yanque lies in the Colca Canyon, at the top of a ridge next to the Colca River. 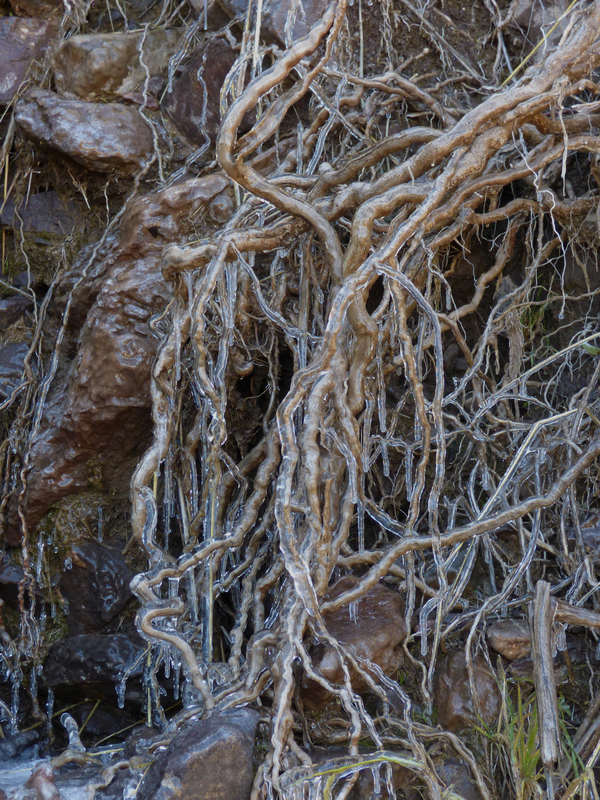 Across the canyon, there are ruins to see, hot springs, and even some fishing. 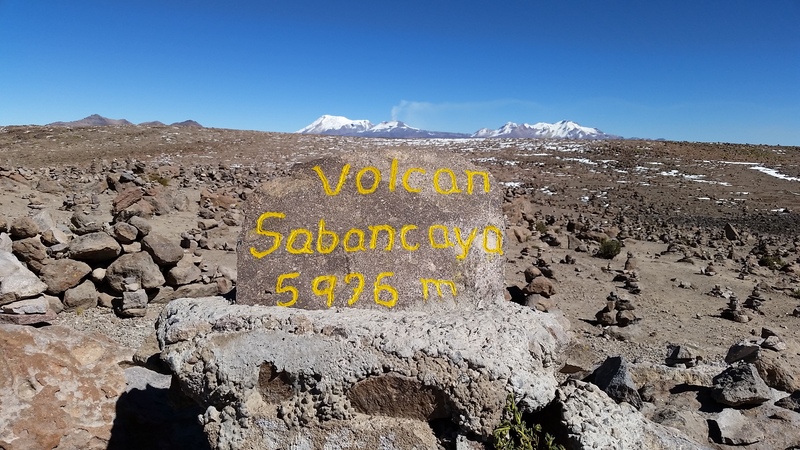 From the town, I could see Volcan Sabancaya, an active and smoking volcano! Our first night in town, we woke up to the volcano billowing out black smoke with flashes of red that appeared! I was really excited to see a volcano explode, but thankfully for the towns and the canyon, it didn’t. However, it has given signs that it will explode, including earthquakes and spewing ash. I suppose it is simply a waiting game at this point; perhaps it will be a few months, or perhaps a few years. Day 1: Chase and I actually got in the night before, but they refused to let us come by and sleep in our rooms, so this day 1 should be day 2. We arrived, happy and exuberant, awaiting the fun stuff we would get to do. I told the boss I liked to hike and I would lead them if he showed me the trail and he quickly agreed! Woo-hoo! Within the hour, I got to go on the hike with a fellow workawayer to get a feel for it before leading it the next two days. 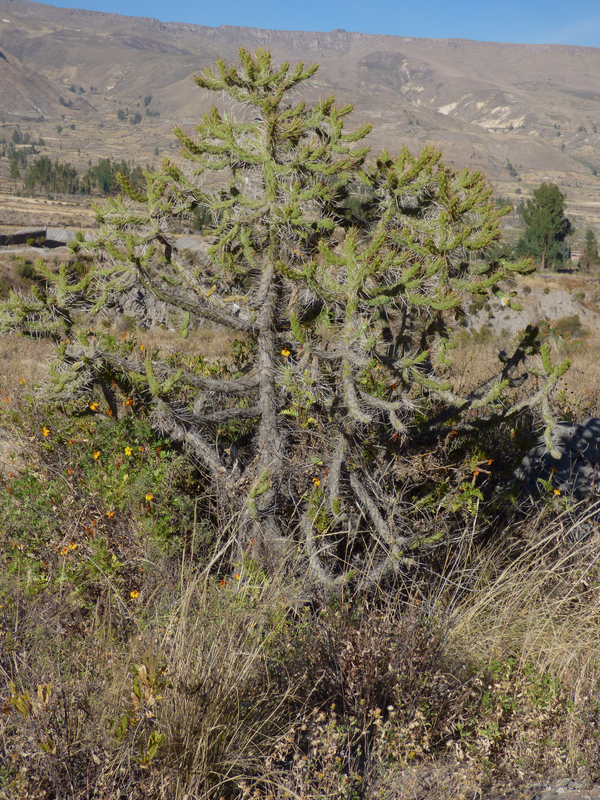 As we hiked up the trail, I remembered a time back in Argentina when a small old woman was selling necklaces made out of cactus spines that had been made in to beads. Naturally, the first thought that went through my head was, “If that isn’t a scam, I bet I could pull one of the spines off that cactus over there and it would be hollow on the inside!! !” Bad idea, past Jess…. bad idea. Nonetheless, I walked over to the cactus (I was 150 yards ahead of the group anyways) and picked out the perfect spine. I ever so carefully placed my fingers midway down to have a sturdy amount to pluck out, and BAM! pulled on the spine. Well, since cacti naturally break off their whole arm when a spine is pulled, I got a bit more than I bargained for. As I withdrew my hand, I had not a single spine in my finger, but 7 long, painful cactus spines embedded in my fingers, thumb (2), and palm of my hand! At that moment, I thought about when a close family member of mine looked at the sun through his binoculars and I knew we were equally as… uhhh… curious in these two moments. He was blind for who knows how long that day, and I was standing in the middle of a canyon with the arm of a cactus hanging off my hand. 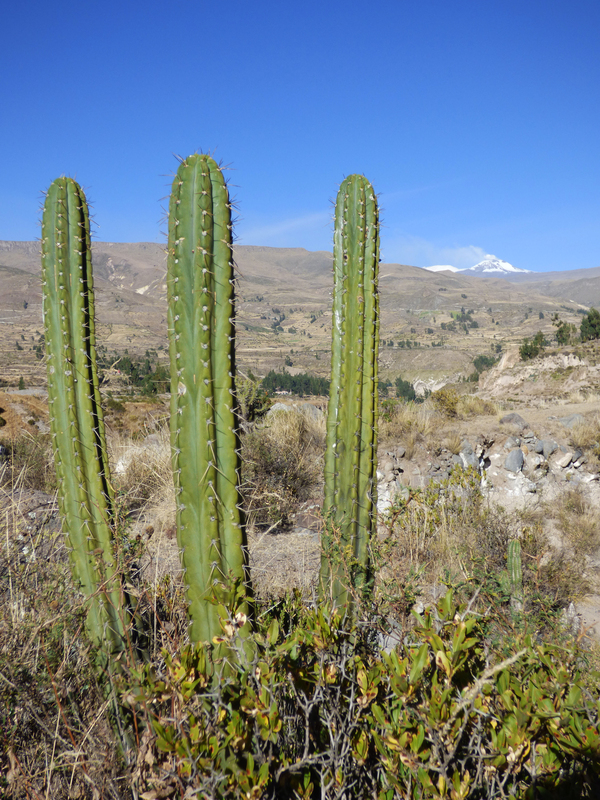 The only thing worse than getting attacked by an angry Peruvian cactus is pulling the spines out afterwards. I stood there and weighed my options… Should I let the others catch up and see how stupid I had been, yet also have Chase help pull out the cactus spines? Or, should I hide behind the cactus shielding me from their view and start pulling now, sparing myself the embarrassment of my coworker and Chase knowing what I had done? Avoid all embarrassment, of course!!! I knelt down on one knee, giving myself a minute or so before they came around the bend and, one by one, plucked the spines form my hand. To this very moment, I have refused to go within a foot of a cactus. I quickly (and very carefully) tossed the arm of the cactus in a bush and greeted the boys with a big smile and, “It’s about time you got up here!” Crisis avoided. Day 2: I don’t have much to say about day 2… I try to skip over the unpleasant parts of the workaway, and there were quite a few. So, bear with me as some days drown on in details and other appear as if nothing happened. I did, however, lead the hike for the first time by myself, and it went awesome! The hike is about 5 miles in length, going through the canyon and to the Uyo-Uyo ruins. They are amazing to walk through, and provide insight to Peru in it’s Pre-Incan culture. 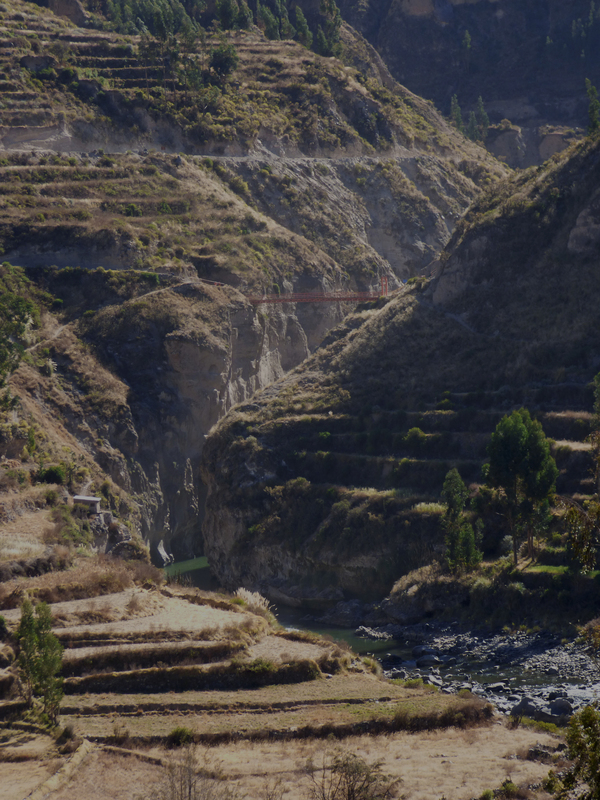 The Wari Wari people who initially settled in the canyon were in fact a huge asset in building the Inca road. 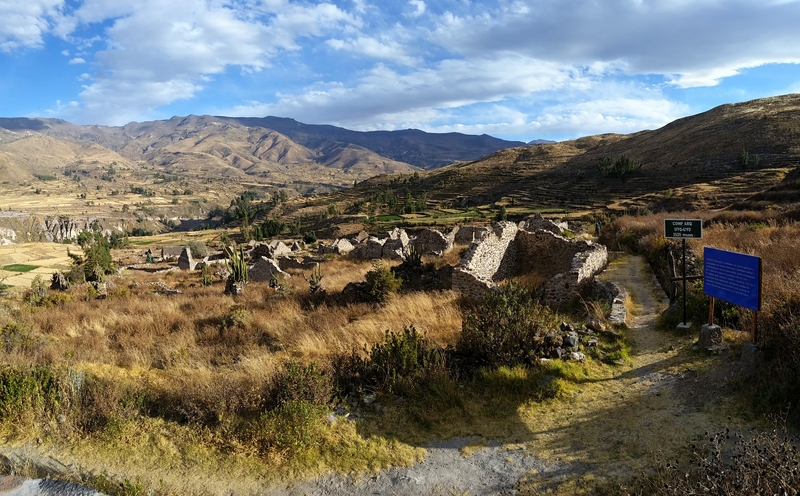 They did much of the work in this part of Peru, which is part of what allowed the Incas to build it so quickly. Deeper in to the canyon, there are more hot springs to enjoy and look down the river to watch the sun go down. Instead of taking three and a half hours, I had French power trekkers with me and we finished the hike in 2 hours and 10 minutes! It was a fantastic way to experience the walk while still getting a good sweat in. Day 4: Fourth of July!! Happy Independence Day!!! I must say, I was really aching for home on this day. Barbecuing, the lake, friends, and country music sounded better than everything within a hundred miles. Chase and I left around three (after completing our work shifts) for the main plaza. There are 2 restaurant/coffee shops in the whole town, and one of them had a working TV for the Copa America game. We watched as Argentina and Chile battled it out over some nice American french fries. They weren’t on par with fries from the J.T. but they were a solid good for Peru. (The JT is a basque restaurant in Gardnerville, Nevada. If you are anywhere close as you read this, make the effort to go grab dinner there. It’s the best decision you will make this week!!!) We sat and got the awesome chance to watch the championship game go in to double overtime AND a shootout! It was the greatest soccer game I have seen in a very long time, and a good precursor to watching our USA women’s team win the World Cup. Day 7: This was our first day off! We slept in until 8 am and ate some breakfast. We were on our way to see Cruz Del Condor, a part of the canyon that all of the condors fly through early in the morning. Since we didn’t meander out on to the road until 10:30 am, we missed all of the busses to get there. So, to avoid paying a ridiculous amount to a taxi, we hitchhiked. A nice old man who already had 3 teenage kids in the bed of his truck pulled over and said he couldn’t get us all the way there, but at least to the next town. We seized the chance and hopped in. In the next town, we were dropped off by the main square, so we decided to explore a bit before hitchhiking again. As we walked down the main street, about 100 meters long with a bunch of artisan shops, we came to a booth that had drinks. We got one pisco drink and one juice. What were these drinks made of? Well, I’m glad you were wondering, because they have a pretty awesome ingredient… CACTUS JUICE! These ladies were sitting there scraping all of the spines off and cutting open the cactus balls to reveal a tangy fruit on the inside. The juice was delicious and the Pisco drink was not. 🙂 I also have to admit, those ladies were much better at handling cacti and their spines that I was in the attempt I talked about earlier. Next, we found a cute baby alpaca that was there for paid pictures. I wish now I had just paid to get a picture with the little guy, but I just can’t justify paying for a photo of an animal that I can walk to the next field over and take all I want for free. Luckily for me, every town in Peru is full of women walking around with their pet llamas. So, when I cave and pay for a photo, you can bet it will be the cutest baby llama I have EVER seen. Our next journey was down the road. There was very little traffic, so we walked about a mile before an old red Ford pickup came rumbling up. Chase asked him if he was headed towards Cruz Del Condor and it was our lucky day! We rode in the back with his two boys and had a free ride to a town 2 more hours south. 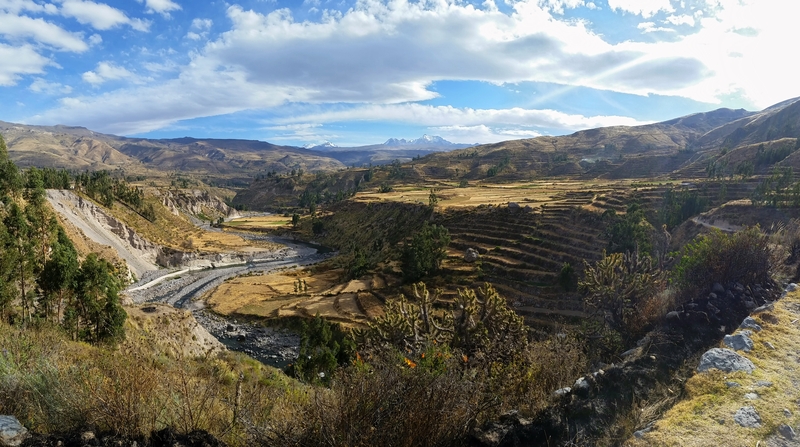 We ended up in the little town of Cabanaconde. We decided to go exploring and chose a barely visible path going through a few fields. Travelling off the well traveled path was a great idea! We walked right up to the edge of the cliff of the canyon and got some great shots! We then took another side path and walked through all of the paths and fields of the locals. I’m not sure if this was allowed, but the people we ran in to we more amused than anything and let us pass on by. The landscape was stunning, the cliffs were sheer and steep, and the fields were filled with burros and sheep. Days 8, 9, and 10: Really, the rest of the workaway was increasingly terrible. But, we surrounded the shifts worked with more hikes around the canyon, photographs of our adventures, and delicious meals in between. After 2 weeks, we left for Chivay. Chase, however, got some great fishing in! There was no bait in the entire town, so he got to relax and hope for the fish to bite the alternative… llama meat. As it turns out, fish don’t eat llama meat as bait, and are all still alive safe and sound in the river. 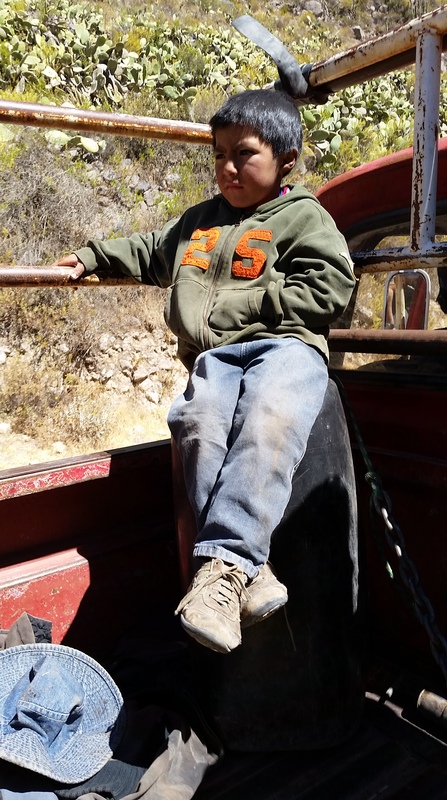 A local boy sits in the pickup as we drive towards Cruz Del Condor. 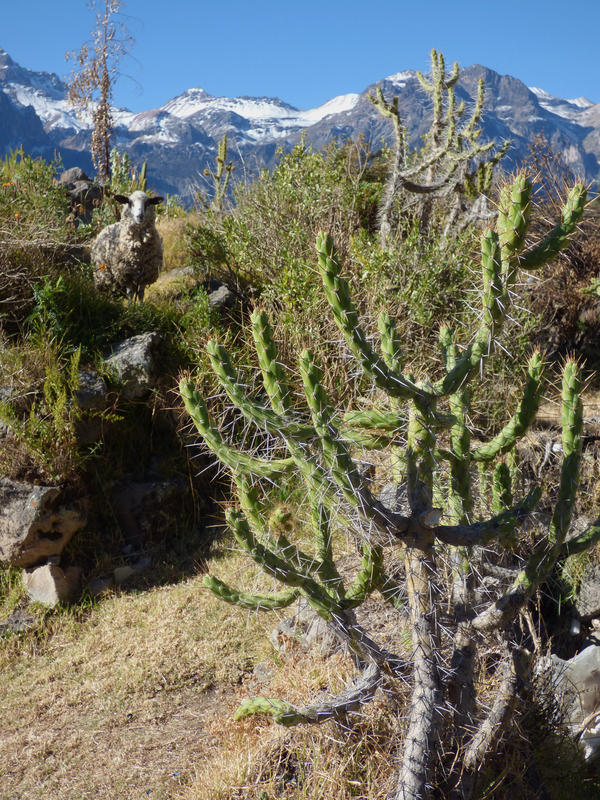 Chivay is the city a the entrance of Colca Canyon. It was our home base for a few days as we did more hiking and planned out our next steps. There are a few good things to know before EVER going there, however. There is only one ATM, and it is usually out of money. Most businesses only accept cash, so be prepared! Taxis are ridiculously expensive, so don’t be afraid to go outside of your comfort zone and take a “colectivo”. It is an 8 person van that is similar to carpooling. It is what allowed us to travel so far in to the canyon without paying more that 35 cents. As we left Chivay to head up to the next city, another volcano became active and began billowing ash and smoke. 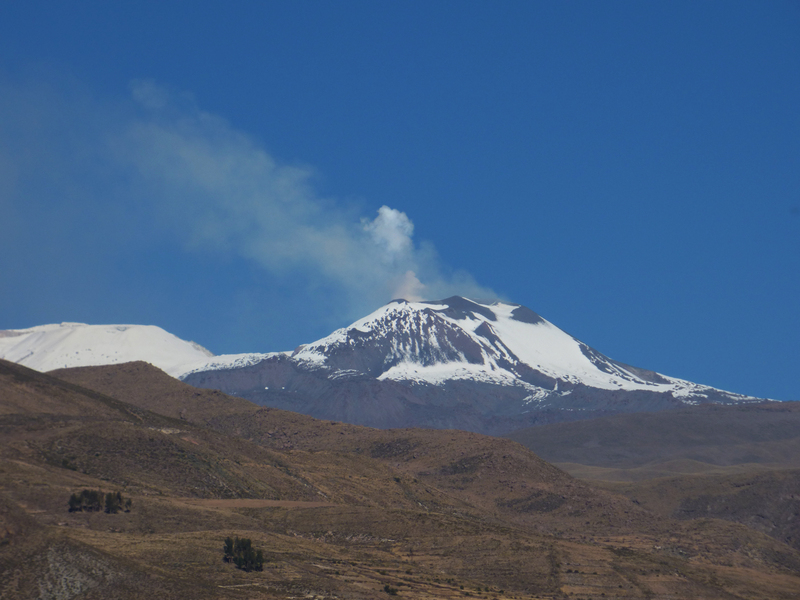 While the bus barreled south towards Arequipa and our next bus station to go north, we had two smoking volcanoes, east and west. What a road trip! 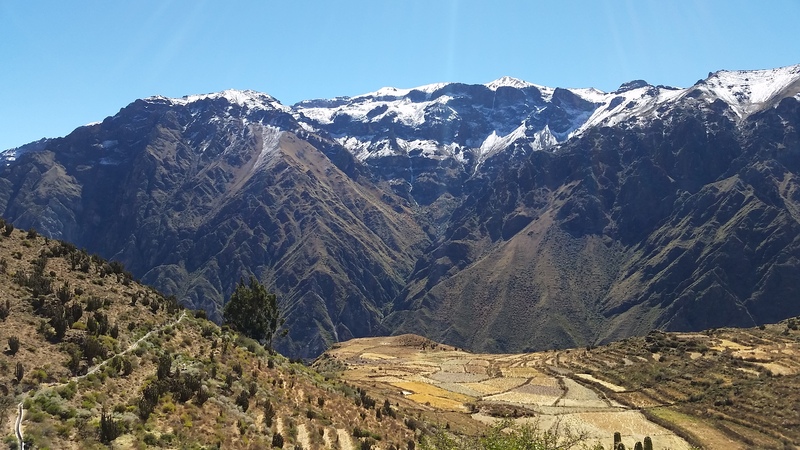 With the good as well as the bad, I still had a great time in the Colca Canyon. Still can’t get enough, Kiddo. Even though we talk as often as we do on the phone, your writing and the pictures give your trip a life you will never forget and I will never experience other than here. Love it!